Sydney-based independent games developer Robot House have announced that their debut feature-length title, Rumu, will be available to play at PAX Australia 2017. "We're blown away by the positive response to our announce trailer! Rumu's story is the heart and soul of the game, so it's been a joy to see people connect with him so quickly. The team cannot wait to share our demo with people at PAX Aus this month," said Robot House's Ally McLean. 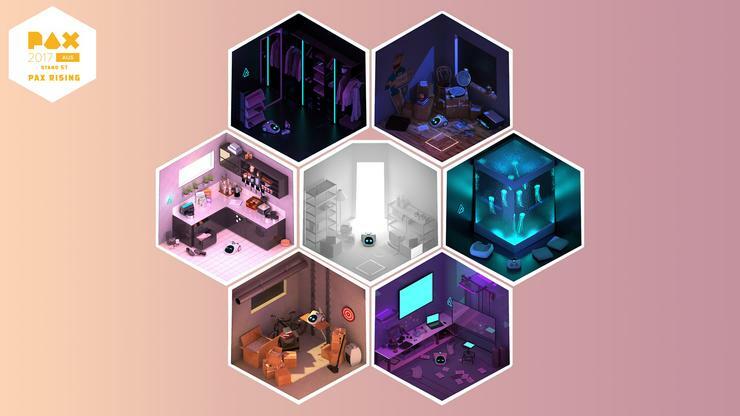 According to the developer, Rumu is an intimate, narrative-driven adventure game about a robot vacuum cleaner becoming self-aware. Players will awaken in a fully automated Smart Home alongside a dysfunctional cast of other semi-intelligent devices and the houses' AI. "When something draws you away from your home maintenance duties and into the hidden passageways and long forgotten rooms of the house, you’ll be faced with challenging moral dilemmas forcing you beyond your programming to uncover the truth about the love and loss of your elusive family," the description for the game reads. An announcement trailer has been released for the game. Rumu is slated for a late 2017 release. No pricing has yet been announced. PAX Australia 2017 will be held at the Melbourne Convention and Exhibition Center from the 27th to 29th of October. The full schedule for the event can be found here.